You might be new to SEO or you just starting out and looking forward to know what the demanding areas of SEO to focus are. SEO is very diverse and has so many different areas, all revolving around On-site and off-site. Whichever area you are most keen about, you will find one or two that you are interested in from the 4 areas I will talk about. As we already know SEO is very important when it comes to driving traffic to your website. SEO comprises of several different areas. But among all these areas, which are of high demand? 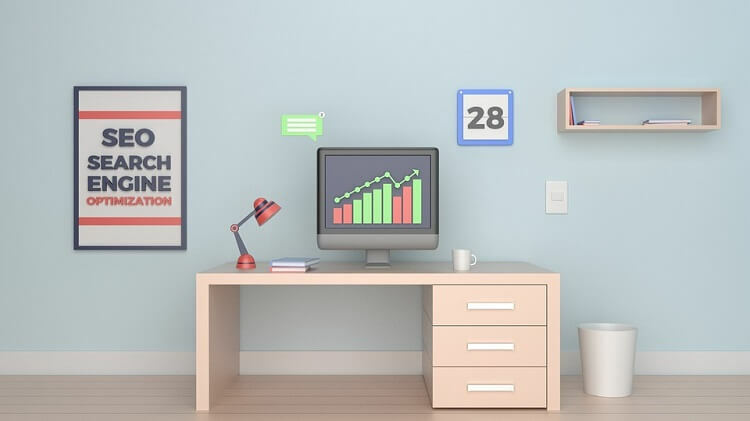 In this article, I will be talking about the demanding areas of SEO to focus in 2019. Keyword research is one of the top most demanding areas of SEO. Knowing how to carry out a thorough keyword research will facilitate the success of any website. The reason is because keyword research is actually one of the most valuable, important and high return activities in the SEO field. It is an important ranking factor that Google uses whenever it is deciding where to rank your content in search results. When you want to optimize your website for SEO, the utmost goal you hope to achieve is for users to find your website through search engine. And the first step you need to take is to be able to research the right keywords users will use. So website owner’s around the world are always seeking for experts in keyword research and some go as far as enrolling in a course that will enhance their skill in this area. Some of the best keyword research tools are Ahrefs, Google Ad words Keyword Planner, SEMrush etc. Experts use this tools to find terms that people enter into search engines. One should be able to have an understanding of their audience – both demographics and psychographics and knowing the type of content they look for. On-page optimization refers to all measures that can take place directly within the website in order to improve its position in the search rankings. On-page optimization help search engines to understand your site better and to also gauge if your web content would be relevant to users seeking for information using a set of keywords. On-page optimization is a demanding area of SEO because if you are able to optimize your website you will not only rank high in search engine but you will also increase the overall readability of your website for your users. Any website owner who desires to optimize their site for SEO has to take On-page SEO into consideration if you want to have targeted visitors knocking on your online doorstep. Experts in this area of SEO are always sort after by website owners because On-page optimization is the basis of any SEO strategy. Web Analytics refers to the measurement, tracking, collection and analyzing of web data to optimize web usage. Web Analytics is one of the demanding areas of SEO. As an SEO professional, automatically you are expected to have the skills to analyze the performance of your efforts. As an SEO expert, you need to be able to attain proficiency with Google Analytics and make this a goal. Whether a business wants to optimize its sales funnel or test the effectiveness of its new social media campaign, analytics experts are there to help them find oversights and create future-forward solutions to keep bringing in revenue and keep their business moving forward. Analytics helps you to make the necessary modifications for your site so that it can improve its rank in search engine. Analytics gives you a proper insight about page views in your website and when a person leaves your website etc. All this information are really essential to help you implement a proper SEO strategy for your website. Every internet marketer knows the importance of web analytics for SEO. Link building which is the practice of promoting your site to other site owners with the primary goal of securing a link on their site to your page. Link building is a vital important factor for SEO and it has a strong correlation with first page rankings. One of Google’s most important factor in providing users with what they want is authority and a higher number of links and quality of links directed to your website is the best way to build authority. In a report by Moz, a study was conducted to test whether it’s possible to rank on Google without links. The study found out that over 99% of results on the first page of Google had at least one link pointing to the website. Also if you want to be able to show up for a keyword in any search engine, your website definitely needs links to achieve that. To optimize your website for SEO, it is crucial to have links that are pointing to your website, this will make it possible for you to rank high as stated above. So here we are, I hope you have gone through all the 4 demanding areas of SEO I have listed above. These are areas that are in high demand and you need to focus on them in 2019. Endeavour to broaden your knowledge in these areas. They are all vital and in high demand around the world. After going through the above 4 demanding areas of SEO, you might want to proceed and research deeper to inform yourself more on these areas. Hope you had a wonderful experience.